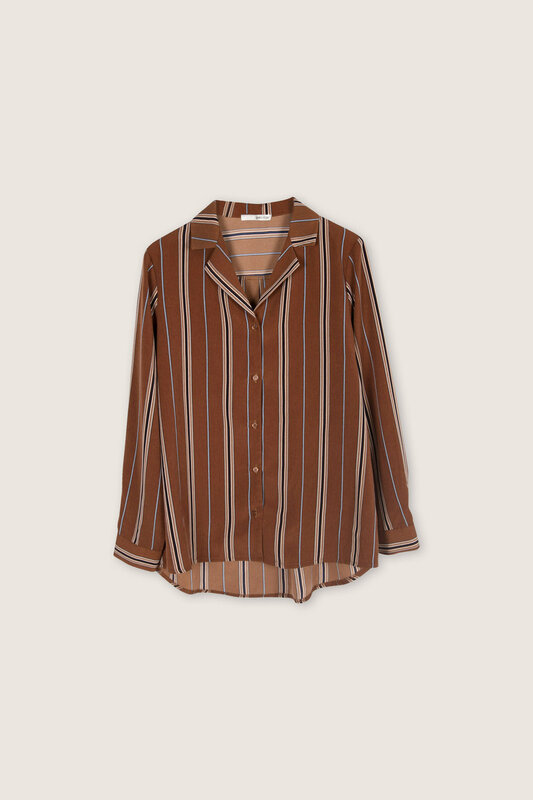 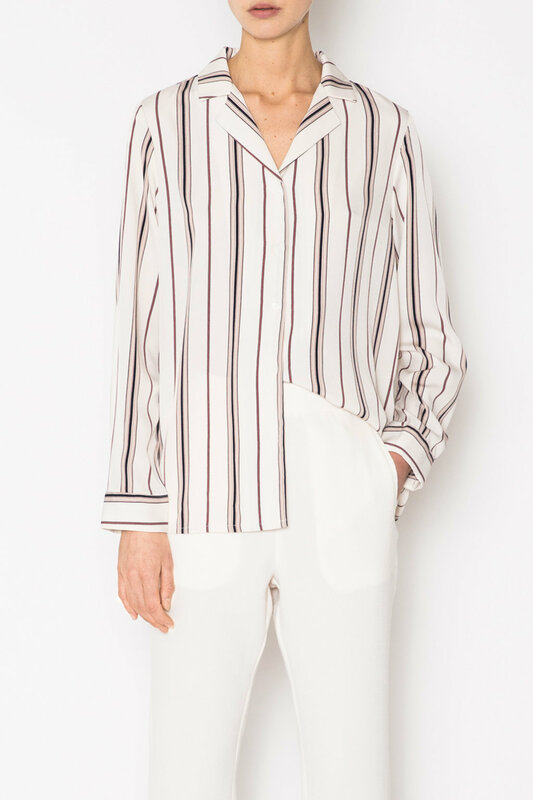 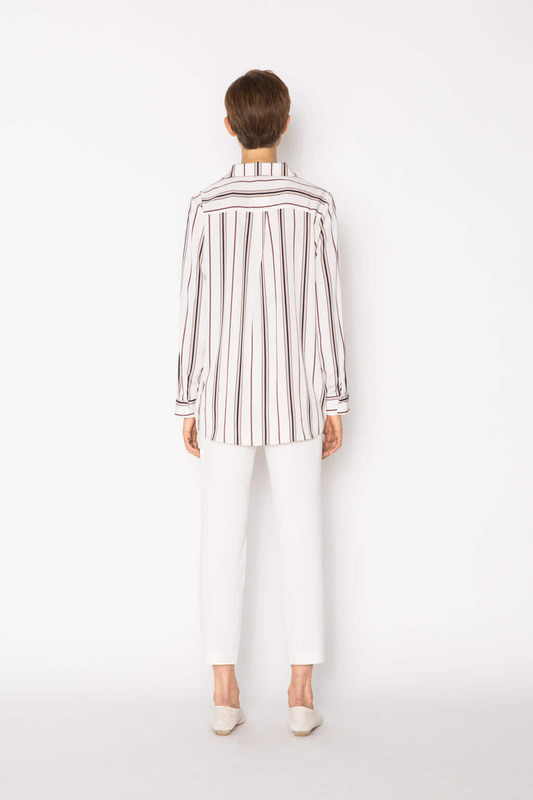 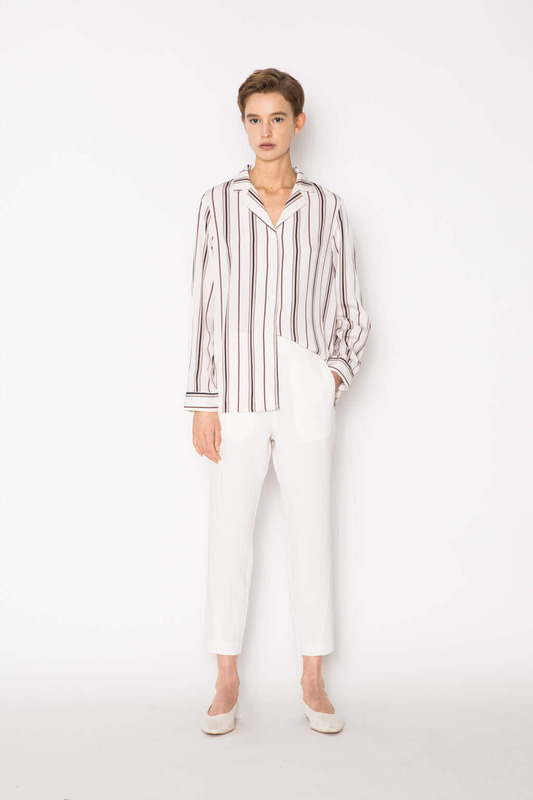 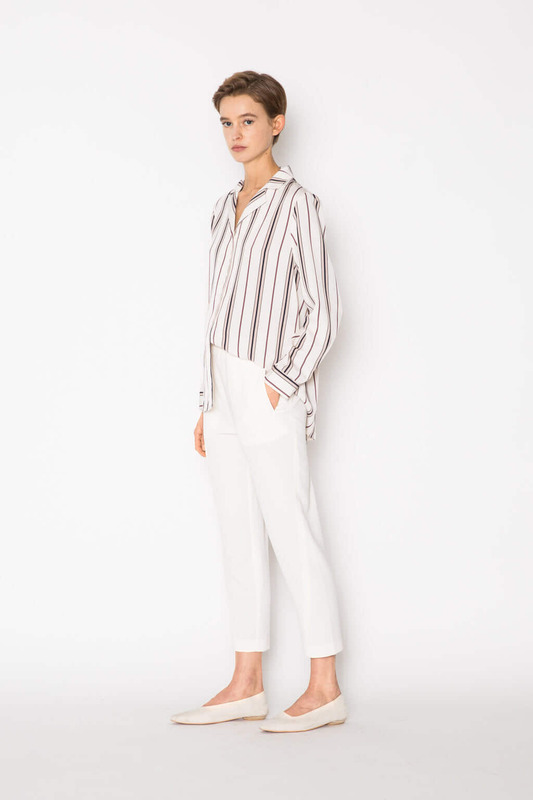 Effortlessly elegant, this relaxed blouse features a classic button-front with a notch-lapel collar. 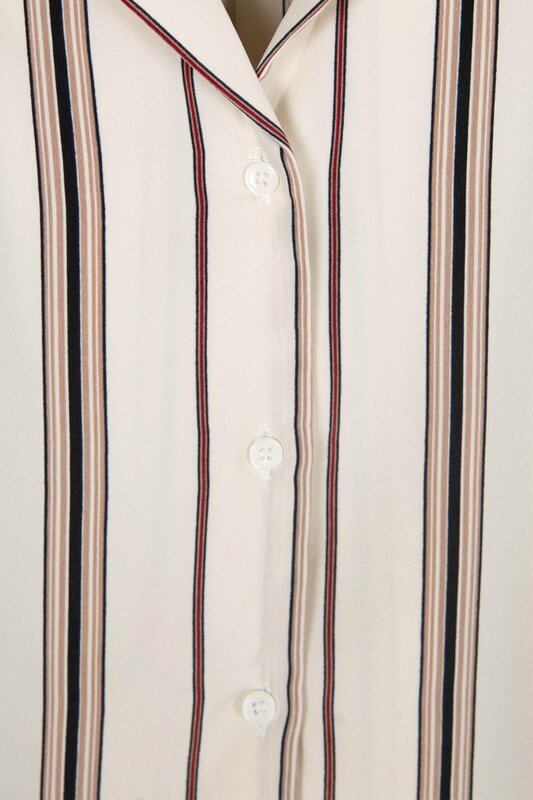 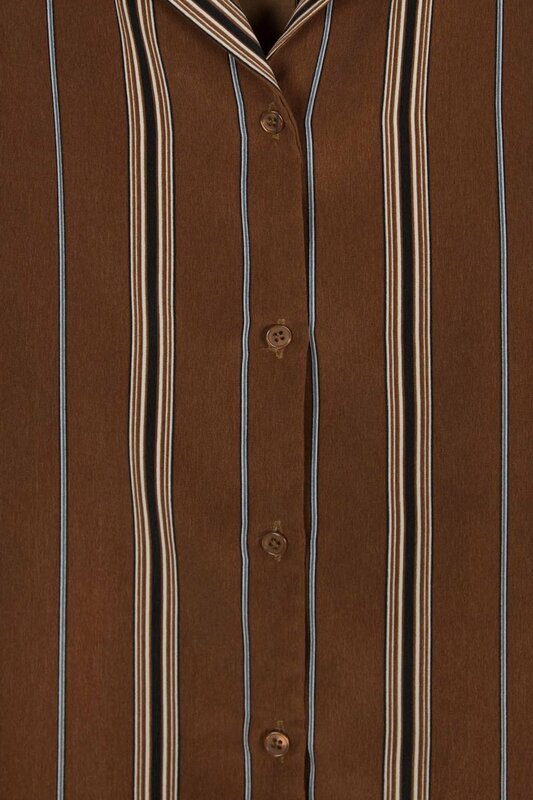 The contrasting stripes features various neutral tones of red, beige, and black for an elevated look. 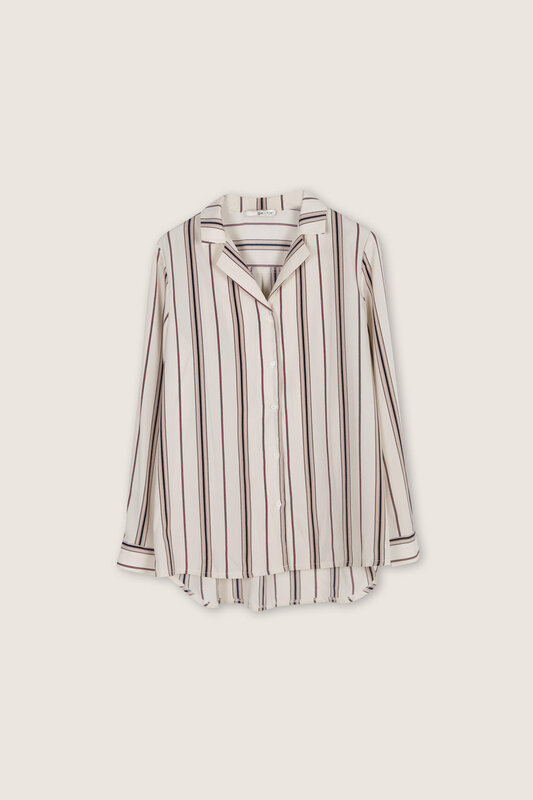 Style half-tucked with a mini-skirt and heeled ankle boots for a chic and sophisticated look.